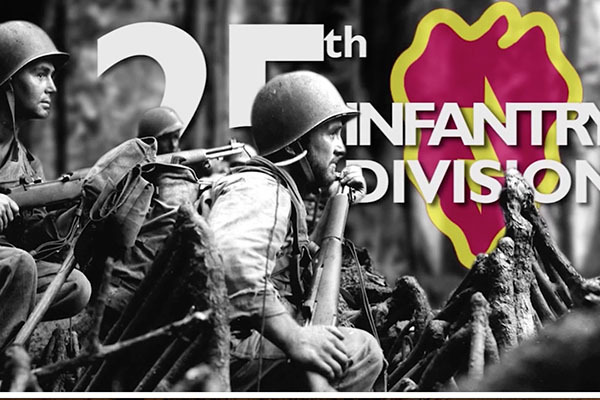 If you ever served with the 25th Infantry Division, please take a look at our membership information. The Association was formed after World War II by a group of 25th Veterans who wanted to celebrate their service to our Nation and maintain the fellowship that is unique among Veterans. The Association has changed over the years but its primary mission remains the same: to foster the bonds of friendship among Veterans who have served with or have been attached to the 25th Infantry Division. Our Association page has information about the history of the Association, membership application forms, a description of our scholarship program, and reunion information. You will also find Division history, information about the battalions and regiments of the Division, with related links. We hope you will find this site useful and informative. You will find a short list of the most recent changes to our site on our What’s New page. 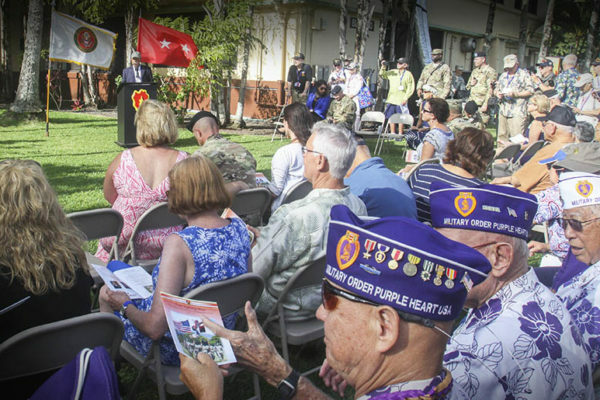 Important: Beginning in 2004 our association undertook a major fundraising effort to build a fitting memorial at Schofield Barracks to honor the service and sacrifice of our Tropic Lightning Soldiers. 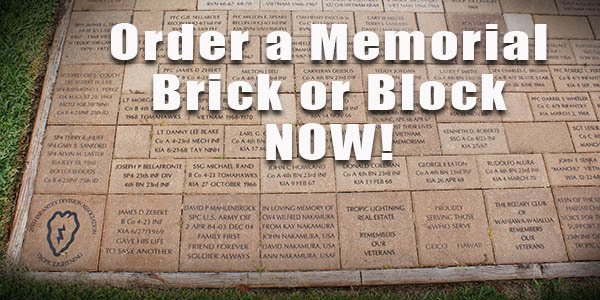 You will find details, brochures and donation forms here. The Schofield Memorial was completed in 2006, but expenses continue to come in for maintaining the Monument and courtyard. We have also completed and installed a duplicate Monument on the mainland thanks to your contributions and grant requests. It is located along the Walk of Honor at Fort Benning, Georgia. We have added a contemporary female warrior statue at Fort Benning and at Schofield Barracks. The addition of a Female Warrior is in honor of all the women who have served in the 25th during all wars and especially during the Global War on Terror.